I started painting another face. It was bad. So I painted over it with a landscape. The photo I went off of was an old one I took out the car window on some road trip. Now that winter is in full swing, I'm trying to appreciate the beauty and make the best of it. I'm really happy with how this painting turned out today. I think it's all about the sunlight. 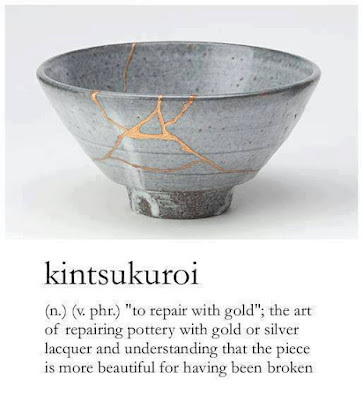 The trees catching the gold sunshine, finding the beauty in winter - is it kind of kintsugi? Winter seems like a dead, broken time of year to me. But even on the snowiest days, if there's some sunshine, I can deal.